If you want to enjoy monthly 4 bags of 350 grams during 3 months for only $170.00 with shipping and handling included, please choose your favorite roast or try them all. 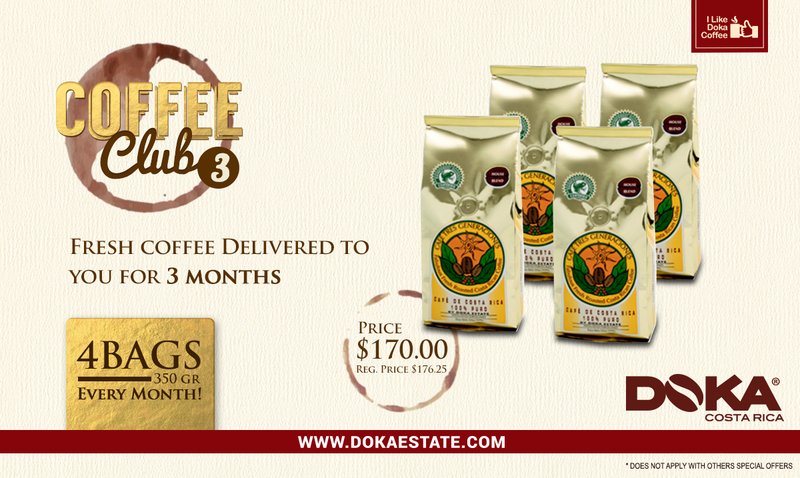 Note: Decaffeinated bags are 250 grams and Peaberry is $1.00 extra per bag ordered. If you need to make a change on your order please specify under the comments area at your form.